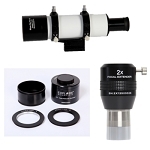 For mounting a DOB Traditional, DOB Collapsible, or Newtonian reflector telescope tube OTA on a SynScan Dob GOTO upgrade kit. 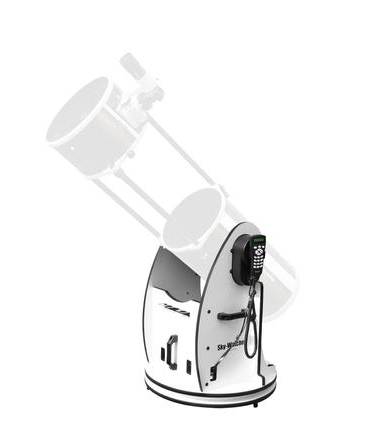 Upgrade your manual Skywatcher 12" Dobsonian or Newtonian reflector Telescope to a computerised GOTO dobsonian or Newtonian reflector using this simple user-friendly kit. 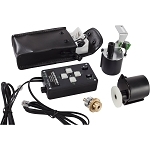 With the included SynScan hand controller, you will have the power to identify and track up to 42,900 celestial objects in the night sky, allowing you to spend less time setting up your telescope and more time observing. The set up is also incredibly easy - you will be ready to go in no time! I ordered this kit from Brandon. Shipping took about 8 days to California. It has everything I needed to convert my Celestron Skywatcher 12" dob into a goto dob. It was pretty simple to put together. It comes with all the tools you need. I was done in about 1 to 1.5 hours. I flashed the latest firmware on the the controller (the firmware on it wasn't that out of date but there is a newer version on Skywatcher's site). It also comes with the Synscan GPS unit. I'm looking forward to giving it it's first light.